Pastor Ron Smals and the Mansfield Woodville church were recently in the news for their generosity to the community. Here is an excerpt–to read the entire article, click here. MANSFIELD — The Rev. Ron Smals’ parishioners at Woodville Grace Brethren Church are helping to put food on the table for 150 families in the neighborhood each month. Now they want to do more. 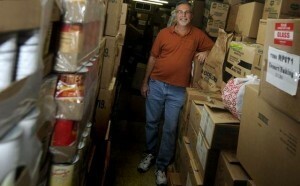 The 580 Woodville Road church has operated a food pantry for more than two years. It is open the fourth Saturday of each month. People who qualify arrive about 9 a.m. for the free food and the pantry remains open until the food is gone. Glad to see your fine work is still continuing to grow as a ministry. Keep up the salt and light in your community.